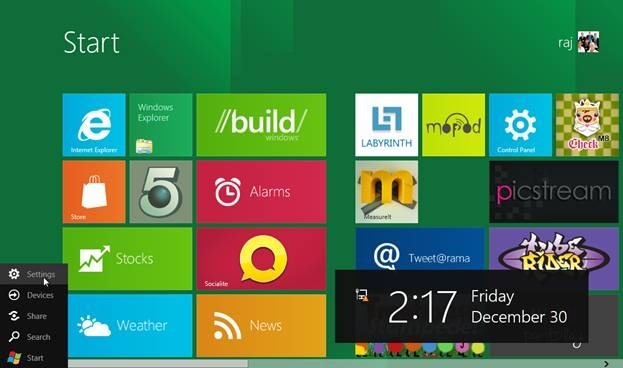 Here is how to put Windows 8 sleep so that when you come back, you will find Windows 8 to the same state where you left it off. If you are working with a large number of apps open, and suddenly you need a break for 10 minutes or so, the best option is to put your PC in sleep mode. In the Windows 8 sleep mode, the computer stays ON but uses very less power as compared to normal mode. All your opened apps remain open so that when you come back and awake your PC, you can start your work from the point where you left it off. This is a big advantage over the situation if you have to shut down your PC for 10 minutes and when you come back and boot you PC you have to restart all your apps. Also check out our post on How to enable Delete Confirmation Dialog in Windows 8. 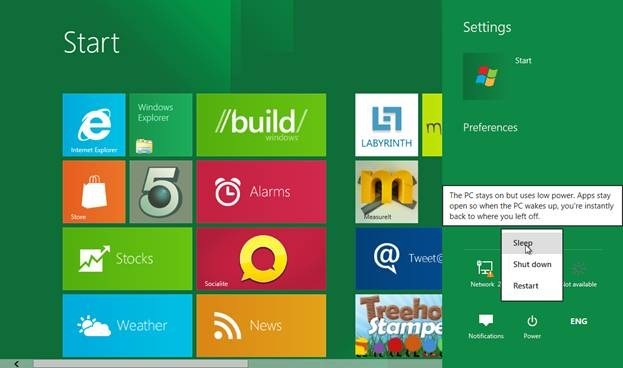 From the start menu of Windows 8, Click “settings”. The “Settings” sidebar will show up in the right side of the screen. Click on the “Power” button. A pop menu will appear, where you can see the “Sleep” button. Click the “Sleep” button to put your system in sleep mode. I have a 64bit PC and installed a new SSD drive and SLEEP in Wondows 8 keeps crashing the computer. If I put it to sleep via settings or the power setting of lid closing (adjusted to SLEEP), when I open my computer lid or hit the power button to wake up (set that up in power settings) it says it has crashed and needs to restart. HELP?